In this section of our shop are available many products for screen cleaning process of screen printing. Reusing your design, clean the screen correctly then you need to reclaim it. We sell a wide range of cleaning equipment and products. These are indispensable for remove the image stencil from the screen, recovering the screen frame previously treated with screen printing emulsions once they reached the end of their use for printing. Emulsion remover are useful for removing all the residuals of the previous photo cuts, so you can completely recover the screen printing frame, restarting production and minimizing costs. Choose from a wide range of screen printing supplies on our Keygadgets online store. 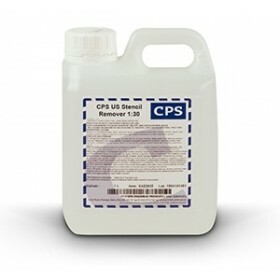 Emulsion remover ready to use 1000ml. Very fast reclaiming liquid. Removes photographic em.. Very fast reclaiming liquid. 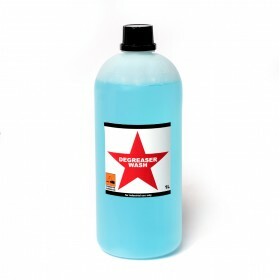 Removes photographic emulsion from printing screen ..
Screen Printing cleaning - Degreaser wash for screen printing mesh .. The set includes: HQ PHOTO EMULSION 250ml - Ready to use. Product of the highest quality, is s..